These inks contain pearlescent or nacreous particles, mica platelets coated with thin layers of titanium dioxide (silver white) and / or metallic oxide (metallic pearls and interference pearls). 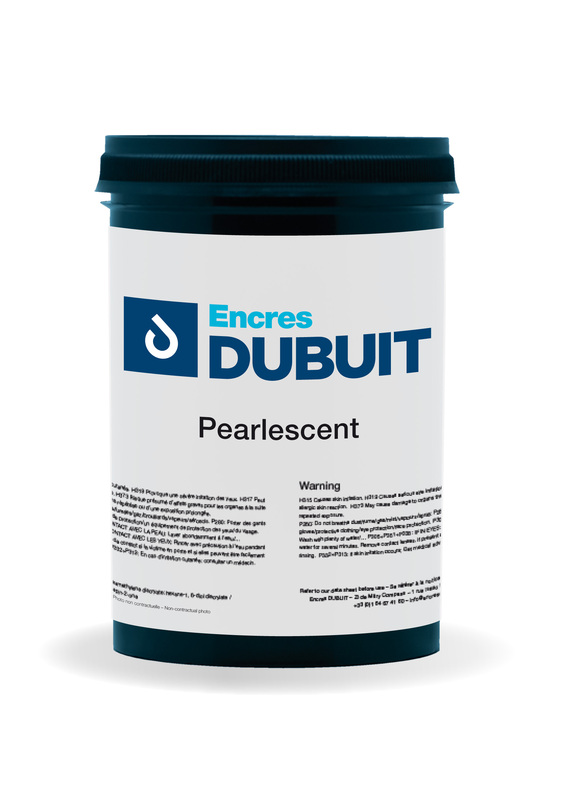 Pearlescent effect is produced by specular reflection of light from the many surfaces of the platelets with parallel orientation at various depths within the coated film. The light striking the platelets is partially reflected and partially transmitted through the platelets. A pearly luster effect is produced by the dependence of reflection on viewing angle, and the sense of depth is created by the reflection from many layers. These pearlescent inks and varnishes are available in UV or solvent based formulation, in the range corresponding to the given application. Optical lustrous and iridescent optical effects are used not only for decorative purposes (cosmetics, industrial products, automotive …), but also to provide a safety function (pharmaceutical, opening indicators, bank cards …).